I still haven’t gotten back to re-sewing the binding on the Sock Monkey Quilt, but I’m sure I’ll do that soon. 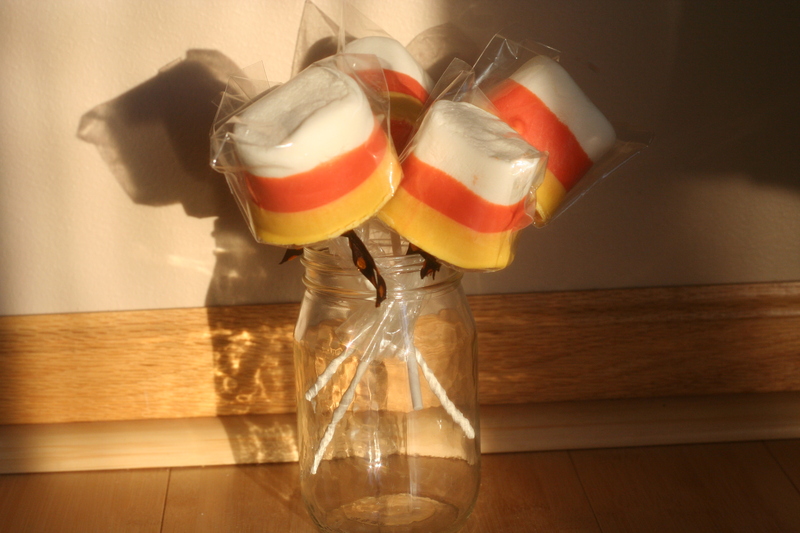 Instead, yesterday I decided to make treats for the BOO bags that we need to deliver to the neighbors. I’ve had all the supplies for a couple of days, so it was time to bite the bullet. They look like little soldiers all lined up and ready to go! All wrapped up and ready to be delivered. The Pink One modeling one for you. Tonight The Blue One will go delivering them to the neighbors. 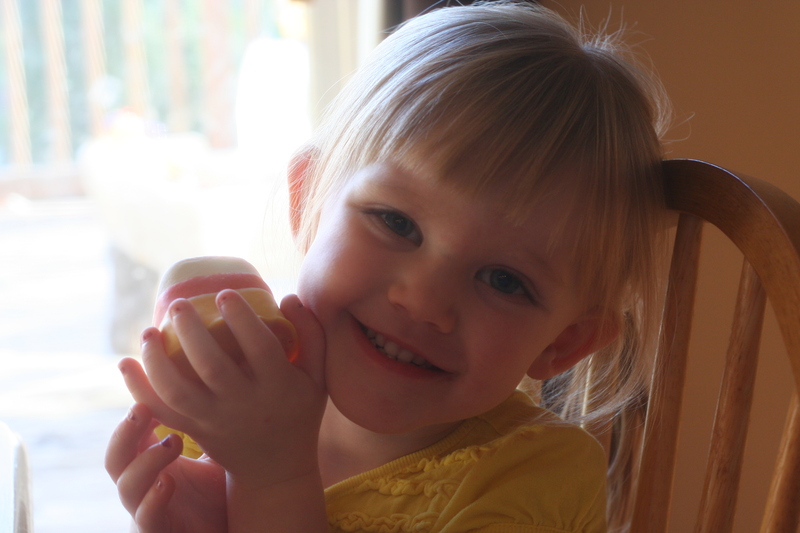 I don’t know what is cuter the Pink One or the Boo treats…..okay – the pink one!!! 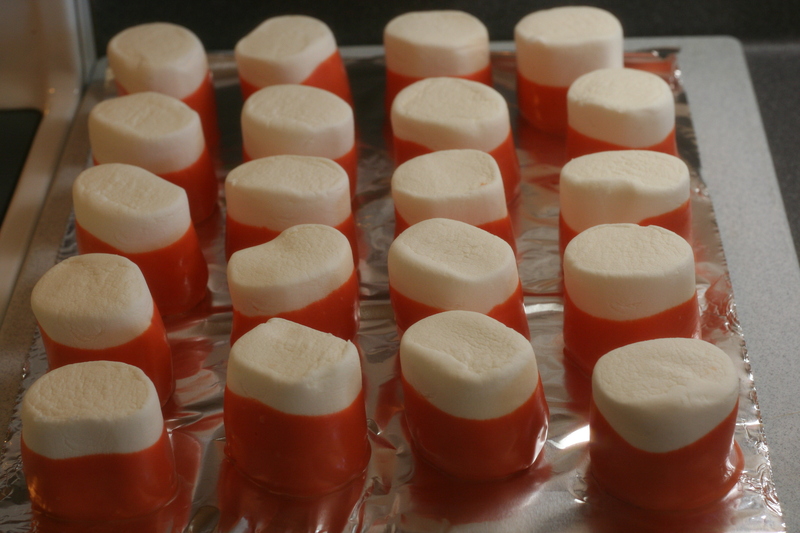 Those boo treats look awesome! (And the pink one is simply adorable…) Recipe, please? 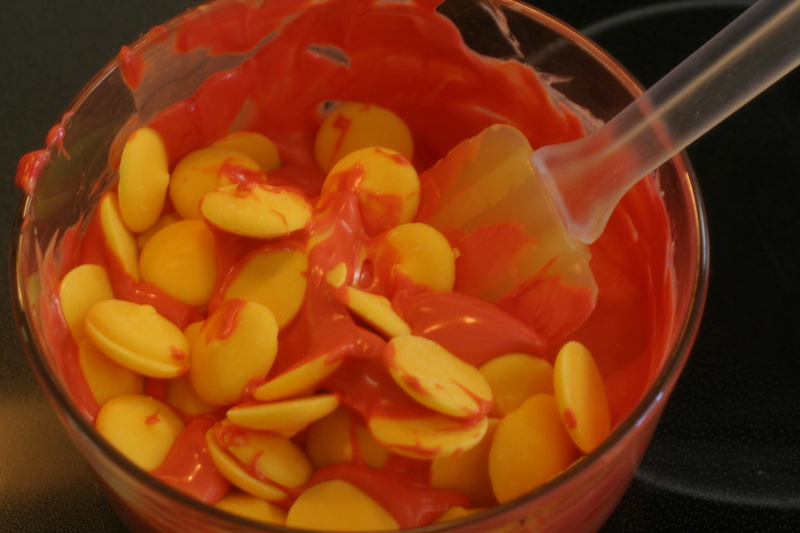 My suggestion would be when you’re making the orange by mixing the yellow & red candy melts together, start with yellow and gradually add red until you get the orange you want. I started with an even amount of red & yellow, and it was hard to lighten it up. 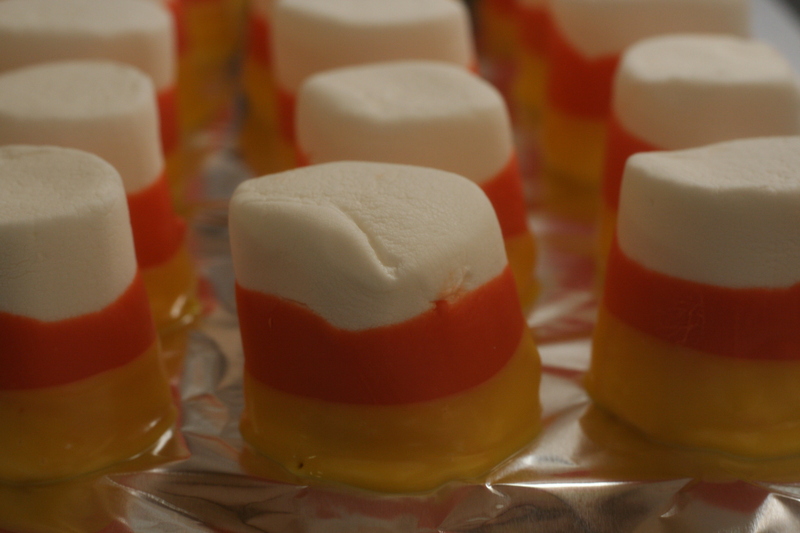 When I dipped my marshmallows and put them on foil to harden up a bit, I got a dumb-looking flat bottom. So that’s why I stuck my sticks in the bottom instead of the top – because I didn’t want the flat part to be ‘face up’ if that makes sense. 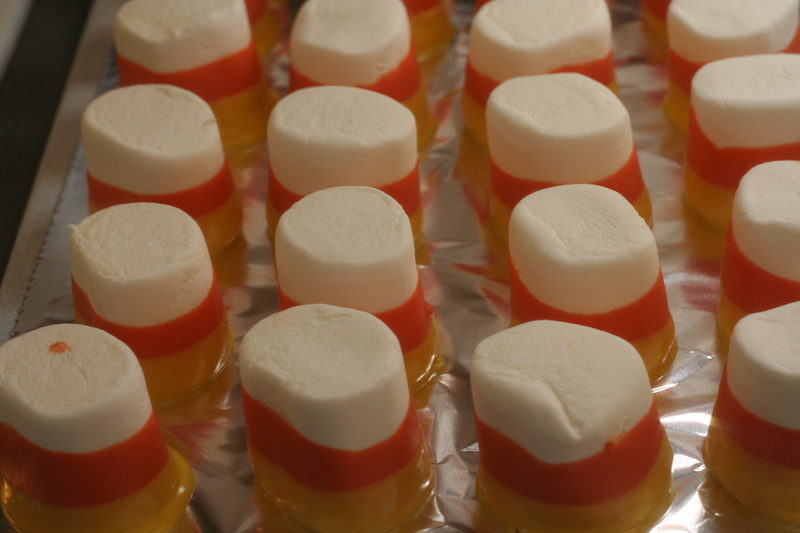 And I did use the giant campfire marshmallows – they’re super cute that way!